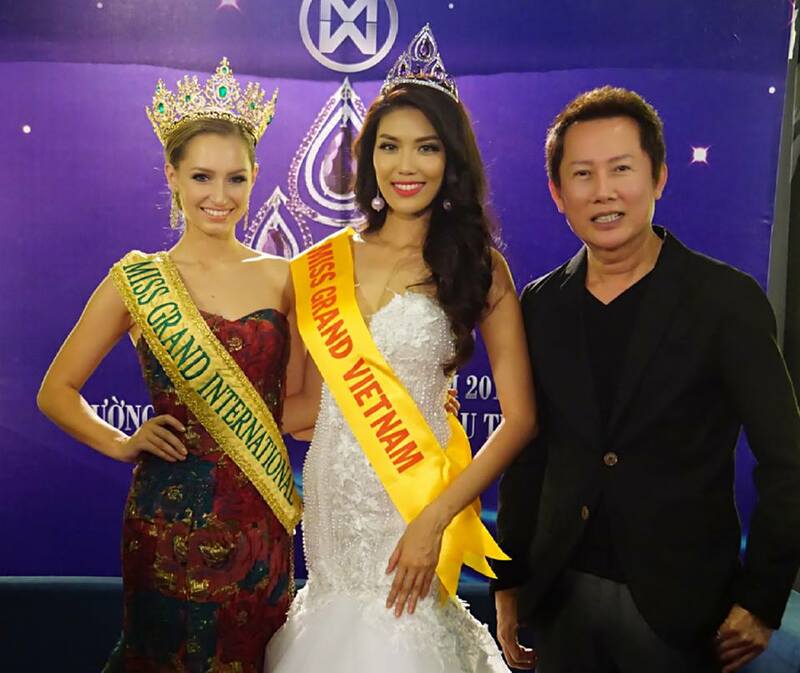 Lan Khuê , Miss World 2015 Top 11 finalist was crowned as Miss Grand Vietnam 2016 by the newly crowned Miss Grand International 2015, Claire Parker of Australia and the President of Miss Grand International Organization Mr. Nawat Itsaragrisil. The MGIO delegation arrived in Ho Chi Minh City the national capital of Vietnam earlier today. The delegation was given a warm reception at the airport by Miss Grand Vietnam Organization & large number of local journalist. Miss Grand Vietnam 2015 Le Quyen was also there to receive the delegation who flew in from Bangkok,Thailand.Claire was officially crowned as Miss Grand International 2015 yesterday after Anea Garcia of Dominican Republic was dethroned/resigned as Miss Grand International 2015. 23- year-old,5ft 10 inches tall Lan represented Vietnam at Miss World 2015 pageant where she got direct entry in to the 11 finalist via fan votes. Lan evening gown which was designed by designer Lý Quí Khánh was awarded with the world dress designer award at the pageant. Lan was born in Ho Chi Minh City & holds a degree in Humanities from HCMC University, Lan is a professional actress and dreams of making it big in the show business. She enjoys listening to Music in her spare time specially EDM,Hip Hop, and enjoys dancing and playing various sports.